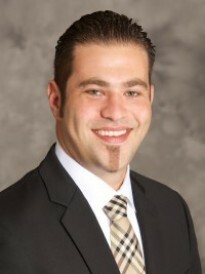 Vaheh Setaghian is the agency owner for Goosehead Insurance in North Hollywood, CA. Vaheh and the Goosehead team help their clients find the best insurance solution by searching the insurance market. In a matter of minutes, Vaheh’s insurance experience will make sure that you have the right coverage at the right price. In 2006, Vaheh earned his Bachelor’s degree in Business Administation option in Marketing Management from California State Universty, Los Angeles. After graduating college, Vaheh started working for Answer Financial Inc. At Answer Financial Inc. Vaheh worked as an agent and later as a manager. With the experience he gained, he decided to pursue his own State Farm Agency in January 2014. Presently, Vaheh has partnered with Goosehead Insurance to establish an agency to meet the needs for every type of insurance consumer. Vaheh has the passion in helping people and the instinct of understanding the value of insurance and the importance of having the right policy. Vaheh is committed to being responsive to the client’s total insurance needs and considers the post-sale service and professional counseling to be the trademark of his agency.